The 2013 year comes with only a few changes. The first major change is the step down of Lee Alexander as the event manager for Drift Nirvana. In his place, our very own Rapper Dan Savage is taking the reigns. Although, with this, none of regular activities will change and DN will be run as it always has. Tuning sway bars seems to be a black art. Some say to run no rear sway bar and some say to run the thickest sway bars possible. The definitive answer is "it depends". Thanks to modern aftermarket sway bars, they are easily adjustable at the track. They are usually much simpler to adjust as opposed to swapping out springs. Generally suspension tuning idealism is to adjust spring rates to remove sway then tune the rest with sway bars. It is preferred to soften sway bars first instead of stiffening. The softest sway bar possible is the preferred setup. Do you want to be able to do this? The following write up is a break down of my analysis and Rapper Dan's run posted above for Orange Course. It should be noted that there are many possible lines through this course. The run through will follow what is normally scored during Drift Nirvana solo competition. Everybody likes a slammed car. Also, most people think that lower is better for autosports. 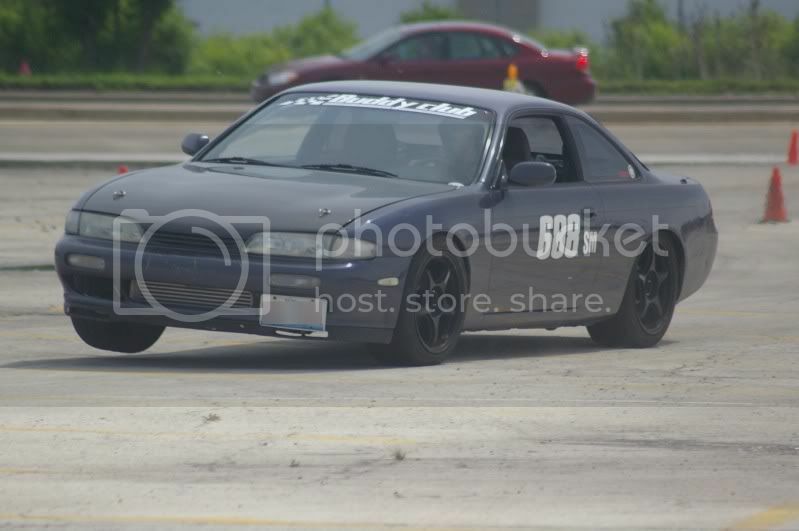 Lowering a car does good things for drifting but after a certain point, it actually hurts more than it helps. The big factor for this is something called "Roll Centers". Here is a general breakdown of the most commonly used line through bridge course. Note that the video above doesn't 100% follow the instructions. Purpose: This instructional article is for individuals with no first hand drifting experience and cars equipped with open differentials, although those with locking differentials can gain some insight as well. The skills explained will include basic weight transfer, hand brake work, gas pedal modulation, and basic clutch techniques, with the goal of enabling readers to complete a single drift in a controlled manner repeatedly. I'm pretty sure most of us know and have seen the JDM fanboys driving around with the yellow and green chevron. And most of us probably know what it means. Regardless, here is a full explanation of the Japanese driving decals. The hella functional movement is on its way up the ranks. With it comes the placement of tire stretching. Yes, there is a legitimate use for tire stretching... to a point. The only legitimate use for stretching tires in drifting is to eliminate sidewall flex. For the low power and average drifter, junk yard tires are a free or cheap way to budget tires. Unfortunately, you don't have many choices when your tire width is less than 205. They tend to be for 14/15 inch rims and come with a 65 or taller sidewall.